We currently meet on Fridays, in the Atrium of the Main SU Building or outside near the koan if the weather is nice. Juggling is only the beginning... and best of all, we're FREE! Learn New Skills! Show off in bars, take part in shows and find a great way to relax. We give free lessons and equipment loan to our members, so everyone can learn and share skills including juggling, poi, diabolo, devilstick, unicycling, staff, contact, stilt walking and much more. As well as our weekly (free!) teaching / playing sessions, we put on shows, visit conventions around the country and have great socials. We have wholesale accounts and other discounts with several major circus suppliers, so you can get hugely reduced prices on your new toys! Whether you're just curious or can already do Burke's Barrage blindfolded, come along and check out Warwick's most relaxed society! Remember, if you have an email address other than your university one that you'd like the society to use, let us know by mailing us at su290@sunion.warwick.ac.uk. 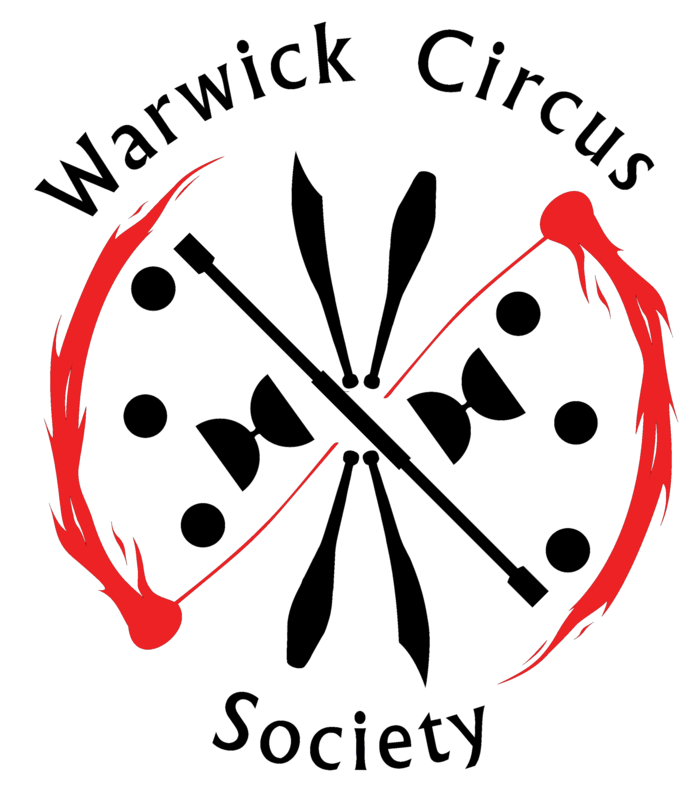 Current students should purchase the Warwick Circus Society Standard Membership below.